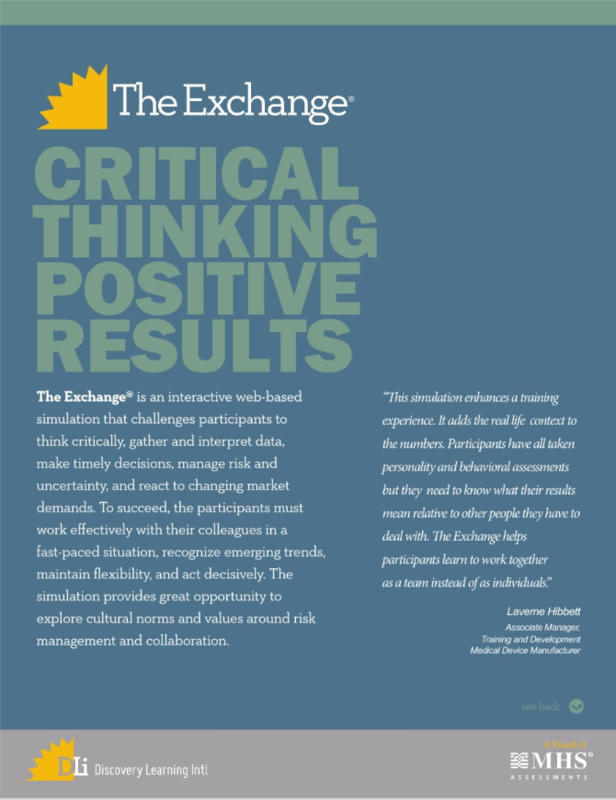 The Exchange challenges participants to work together within an environment of complex data, ambiguity, and time pressure. Each participant is a member of a team that earns points by trading Combos. The Combos are formed by assembling colored medallions into predefined groupings. 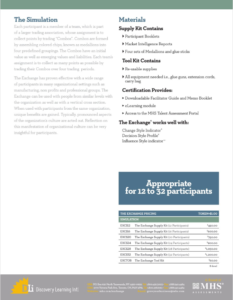 The Combos have an initial value as well as emerging values and liabilities. The assignment is to collect as many points as possible by trading Combos over four trading sessions. 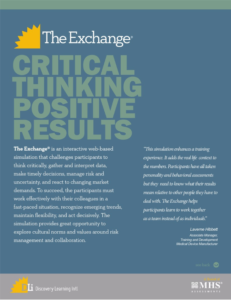 To succeed, participants must engage in critical thinking, work effectively with their colleagues, mine available data, recognize emerging trends, maintain flexibility, and act decisively. The team gets themselves familiar with the trading rules and trading combos, getting themselves ready for the simulation challenge. During each trading session, market intelligence report will be provided. This report provides values of different trading combos. Participants will anticipate demand and maximize their points in this phase.